Home / Learning Centre / Can You Keep Cats And Chickens Together In The Same Backyard? Cats and chickens can definitely be trained to live together. 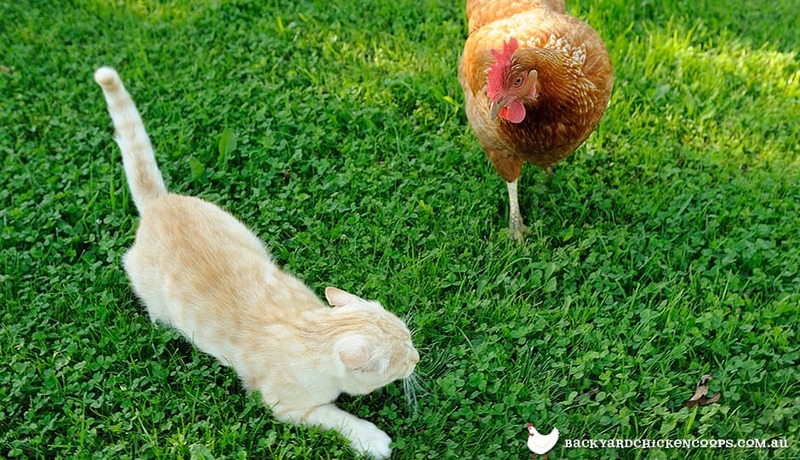 They don’t seem like obvious ideal roomies, but we know for a fact that the feline and the poultry can become great friends in the same backyard! Getting cats and chickens to get along is through the same method as most other domesticated animals - through training, patience and careful supervision. We know they certainly can be trained to live together, as we’ve had testimonials and photos from our animal-loving customers show us just how friendly these animals can be! Cats and chickens are both inquisitive creatures, but cats do have the upper hand when it comes to a tussle. So, most of the training will be focussed on getting your furry friend to meet the chickens peacefully, and learning to be calm around their presence. It’s important to remember that cats are curious creatures. The more you take something away from them, the more they will want to investigate! So it’s important to make sure the cat knows the chickens are a normal part of life, not something they’re restricted from seeing. It’s best to start by introducing your cat to your chicken through the safety of a wire mesh fence. When introducing your cat to your chickens for the first time, you will probably notice your cats hunting instincts come into play. There might be some hissing, or your cat may begin to arch. This is where you should re-assure the cat that everything is normal. Scratch them behind the ears, stroke them, toss them their favourite toy to play with - something to take their mind of the predatory instincts they’re feeling. Continue this for a few weeks, always supervising and ensuring your cat is behaving like a good feline should! Once the cats have observed each other through a fence for a while, you can trial an introduction face-to-face. When you feel your cat is ready for the next step, you can start the first face-to-face introductions. The best way to start is by gently holding the chicken around the cat, and seeing how your feline friend reacts. It’s best to not let go of the chicken straight away, so you’re still in control, but it allows the cat a closer look at the chicken. Observe how your cat behaves - if they seem unphased by the presence of the chicken, then it might be time to move on to the next stage. If you can see any predatory instincts or unsavoury behaviour, scold them and let them know this is not acceptable. Continue this until the cat seems no longer intrigued by the chickens presence. Finally, once you feel comfortable that your cat is unphased by the chickens, you can let them both out in the backyard for small supervised periods. Let the chickens and the cat out for small periods, whilst you're casting a watchful eye. Again, it’s a good idea to have the cats toys outside to distract them from the chickens, and to make them seem like a low priority compared to fun times! Once you’re confident that your cat will leave the flock alone, switch to small unsupervised periods. If everything’s fine, then you’ve done well! Are there any other ways I can keep my cats and chickens together other than months of training? In this day and age, some animal owners just don’t have the time to train their animals for weeks (sometimes months) - as much as they’d like to! There is another solution to the cat and chicken dilemma, that will have both parties purrrfectly happy sharing the same space. That solution is to get a coop with a run enclosure attached for the chickens to free range in, instead of letting them out into the backyard. This means your chickens are safe and still have access to fresh grass and dirt to dust bathe in, whilst the cat can still enjoy the great outdoors without being able to get through to the chickens. Our Taj Mahal, Penthouse and Mansion with Mansion Run’s are a great solution to time poor animal owners who can’t supervise training sessions between their flock, and furry felines. Remember, not all cats are created equal. When it really comes down to it, an owner knows their animal the best. So, when training, gauge your cats reactions, and move to the next stage when you feel they are comfortable. It could be faster, it could be slower - it all depends on your feline friend. Also, keep in mind that older cats are probably going to be less fussed about the goings on of the chickens in the backyard, whereas a sprightly young feline might require more training and patience from their owners. Just keep in mind that the result will definitely be worth it, when your feathered and furry friends are living harmoniously in the backyard together. It’s not just about the felines you know. Quite often, family households already have both a cat and a dog. This can seem like even more of a dilemma when it comes to the decision of whether to get chickens! But, don’t be put off - both the feline and the canine can be trained to share a space with a backyard flock. 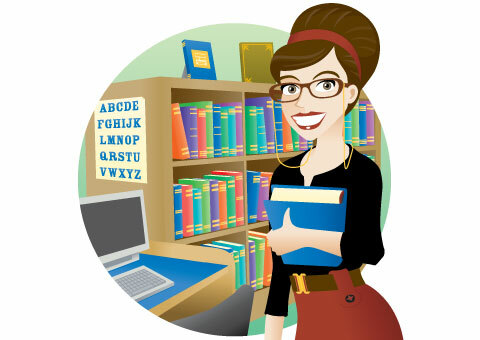 We’ve got the testimonials, training stories and photos to prove it! In fact, dogs are very commonly and effectively used to protect chickens against foxes and other potential predators. If you’ve got some canine pals in your family, you can definitely still get chickens - here are some guides on how to train your dogs to get along with new feathered friends. So, if you’ve got a cat, the moral of the story is don’t hesitate to get chickens! If you have a household cat, don’t be put off getting chickens. With a bit of training and patience, you can definitely keep both in the same backyard! Or, if you’d prefer, you can always let your chickens free range from the safety of a run enclosure. Our Taj Mahal, Penthouse and Mansion Run is a great way to let your chickens get the fruits of fresh air, whilst letting your cat roam free around the backyard with their new feathered friends.